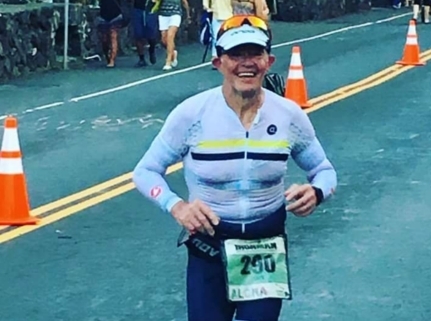 As we in the UK were just waking up on Sunday morning, Dave was crossing the finish of the gruelling Ironman World Championship’s course in Kona, Hawaii. A 2.4 mile swim, 112 mile bike and then a 26.2 mile run in searing heat amongst the top Ironman Athletes in the world! It goes without saying that we are immensely proud of him. The years of hard work have paid off. Seriously, what an achievement! Go Dave!